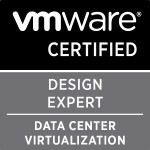 That’s right just like I did for the VCP5 ,and the VCAP5’s I have decided I may as well start to list all the resources I plan to be using for the VCP6 now that it has been released. To be honest I’m hoping I can clear the VCDX5 in October and then just have to do the VCIX-DCV to upgrade but from past experience those take quite a while after the VCP6 is released. The first place you should always go is to the blueprint. Just like the VCP3,4 and 5 as well as any other VMware certification the blueprint details perfectly what you need to be able to answer and what you need to know in the exam. There are multiple routes to gain the VCP6-DCV from people who have never worked with vSphere, those who have but haven’t attended the required course or those who are already VCP5. All the paths are listed here. If you have to go down the course route or you just want a refresher then there are a number of options. There is the Install, Configure, Manage [V6], the VMware vSphere: Optimize and Scale [V6], the VMware vSphere: Bootcamp [V6] and even an online Install, Configure, Manage [V6]. Shane Williford (aka @coolsport00) has created a brilliant VCP6-Study-Guide . I have always been a massive fan of Trainsignal Pluralsight and the amazing work that David Davis does and yet again like he did so well for vSphere 4 and vSphere 5 he has started to release his vSphere 6 videos. So far he has released three which are What’s New in VMware vSphere 6, vSphere 6 Foundations: Install and Configure vCenter and ESXi and vSphere 6 Foundations: Configure vSphere Networking . I have watched half of the What’s new course as a refresher seeing as I’ve been deep into vRA recently and it certainly is a brilliant course. Greg Shields has been making his way through the objectives for the VCP6-DCV for Pluralsight and at present is clearing an objective every two weeks. Check out his learning plan here. Josh Coen and Jason Langer are at it again and have started to break down the VCP6 exam blueprint here. The VCAP5 resources from these guys were amazing so I’m really looking forward to this being completed! Josh and Jason have now completed their unoffical official VCP6 study guide and it is ready for elctroinic download here! Great work guys!! Vladan Seget has also been breaking down the blueprint and is certainly ahead of Josh and Jason on it. Vladan is prolific and knows his stuff so I certainly will be using his resources also to ensure nothing fell through the cracks between the two breakdowns. If you have been using vSphere 5.5 like most of us for the past couple of years then learnign about the differences between 5.5 and 6 without attending the whats new course can be a challenge. Florian Grehl has done a brilliant study guide covering the differences between the two against the blueprint. Great idea and resource! Next is the Mastering vSphere 6.0 by fellow vBrownbag colleague Nick Marshall, Grant Orchard and Josh Atwell. I have purchased the book but have yet to crack the cover but knowing all three of these guys really well I can be sure it is going to be an integral part of everyone’s study regime. So far that is all the resources that have caught my eye for resources to prepare for the VCP 6. I will continually update this list as I come across more and if you know of any others that I should add then please do let me know. do you have some exercises, for VCP Foundation exam? Hi Gregg, This series very very good. Thank you very much this sharing. Excellent Write up. I found it on twitter a follow is coming your way! Thanks a million for that excellent study guide Gregg. I’m planning to go for the VCP6 exam very soon. Thanks mate, with VMware removing the Blueprints for VCP6-DCV this pages is a godsend! do you have PDF book ?